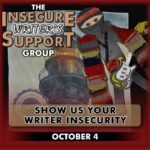 The awesome co-hosts for the September posting of the IWSG are: Tyrean Martinson, Tara Tyler, Raimey Gallant, and Beverly Stowe McClure! 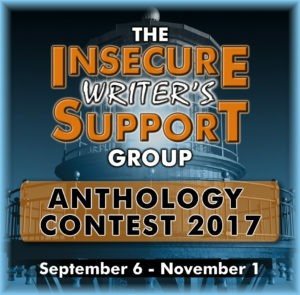 The annual IWSG Anthology Contest! Ion Newcombe is the editor and publisher of AntipodeanSF, Australia’s longest running online speculative fiction magazine, regularly issued since January 1998. His qualifications and employment range from horticulture through electronics into literature and communications. Mason Canyon had a love of books since childhood encouraged by a mother who loved to read. A 30+year career in journalism fueled her desire to know what a story is all about. Blogging at Thoughts in Progress since 2009 and operating MC Book Tours for over a year. Loves to read and share great stories with others. MC Book Tours. SEPTEMBER 06th QUESTION: Have you ever surprised yourself with your writing? For example, by trying a new genre you didn’t think you’d be comfortable in? Just for the record: poetry is my first love…which was swiftly ousted by flash fiction. However, my first bit of ‘solid’ writing was creative non-fiction, which I feel very comfortable with and really enjoy. But I love the mystery/suspense/thriller genre too. Happy IWSG Day! I’m off to visit some blogs! Happy IWSG Day! Great news about the anthology. There’s always something happening in this group. That goes to show it’s always good to take a leap, because you never know where you could land. We’re going to see some great entries for this next anthology. Woot for your fantasy venture working out! Yay! Writing fantasy horrifies me! All that world building…and it seems like there are more rules than I can handle. Then again, I may be completely off base and making up reasons to never try and write fantasy. It’s fun to stretch our wings and try new genres. I’ll bet doing so has made my writing stronger in my main genres: mystery and women’s fiction. However, I recently attended a workshop on branding for writers (as in selling books, not sizzling flesh) in which the speaker emphasized the importance of picking a genre and sticking to it–if you hope to sell books. ‘Tis a dilemma. And I bet you could write in even more genres if you tried. Anthology is going to rock! Congratulations on your story! I think you’re a brilliant writer and your flash fiction shows that you could tackle any genre! Congrats on that story. You’ve done one, you can do another. I surprised myself when I dabbled in fantasy…not great at it but still enjoy writing it. Much more comfortable writing whodunit mysteries! For me it was alternative historical fiction that surprised me. It’s not a genre I even read, but I enjoyed doing it for an anthology and am developing a fuller story around the short for a longer book once the short is released by the anthology. Love finding those new genres and styles of writing that call to us – lots of fun!! I think most of us have surprised ourselves with our writings. I remember writing some poetry in high school, and not being too awful at it. Now though, I can’t seem to string even two lines together that rhyme. So cool though to find yourself succeeding at genre’s you’re not familiar with. I love that you discovered urban fantasy after you’d already written an urban fantasy story. How fun. I didn’t know that genre existed until relatively recently either! The new anthology seems fantastic. How awesome about the urban fantasy story! I think it important we all step out of our comfort zone now and then, even if we don’t do anything with what we write. Flash is really good for that. I’m really conservative about what genres I write in. I’ve found my life’s calling in historical, with interstitial elements of women’s fiction, Bildungsroman, romance, and literary fiction. I also have some soft sci-fi on hiatus. Since I have almost no experience with reading genres like fantasy and psychological thriller, I feel like my lack of passion would show through in the writing. You really have a wide range of writing interests and experiences. And another great anthology coming from IWSG. Poetry and flash fiction have a lot in common, so much to say, so few words! I have now learned that we never know what we can do until we step out and do it. It is the trying to stretch our horizon that teaches us what we’re capable of. I’m glad you wrote your fantasy. Awesome on your fantasy story! I surprised myself by writing a paranormal and it was well received. Writing in a genre you didn’t know existed is impressive! Love the Tick Tock theme! As I’ve switched from a pantser to a plotter, I’m finding my characters are going rogue much more often. Lots of surprises and more often then not, juicy ones. Speaking of writing outside your comfort genre, I’m dabbling in something sci-fi for the anthology. I’m wondering though, about the definition of graphic violence. I don’t know what is acceptable. If someone is killed swiftly, and there are no gory details, is that okay? Yes, all murder is graphic, but in terms of fiction, is this considered graphic violence? I think it’s great that you’re experimenting in other genres and succeeding! It’s good to dip our wings here and there! I love urban fantasy.